Virginia’s best scenery on display! 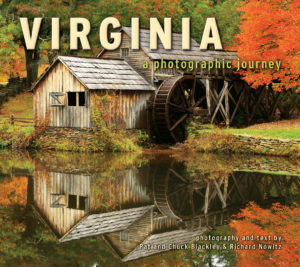 New Photography Book Showcases Virginia’s Historic Landmarks and Natural Beauty. Virginia’s best scenery is on display! 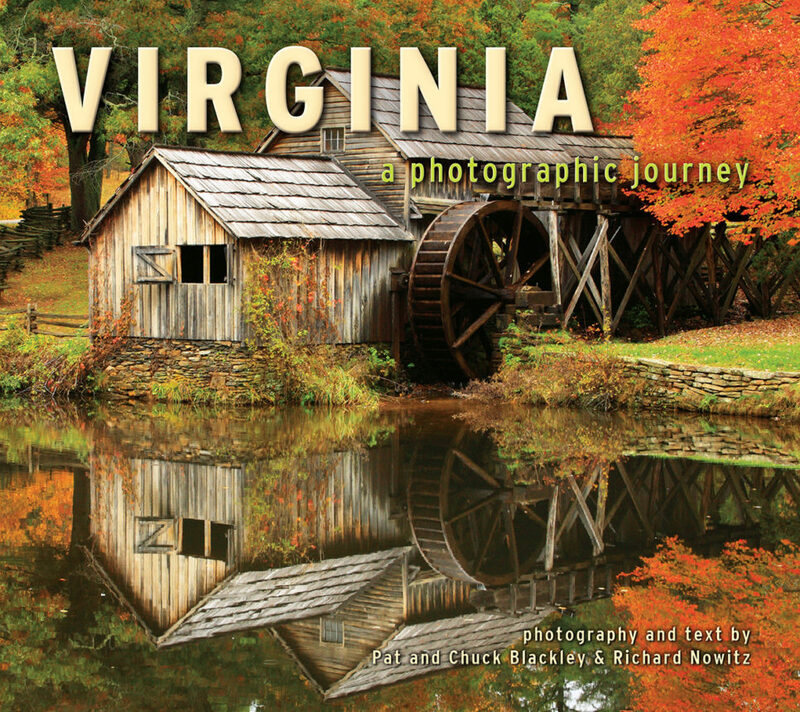 Explore Old Virginia in Farcountry Press’ newest release, Virginia: A Photographic Journey. Featuring the striking photography of Richard Nowitz and Virginia natives Pat and Chuck Blackley, the book celebrates a true passion for all things Virginia. “We wanted to make a book dedicated to all the people of Virginia, who make living here such a blessing.” Says photographers and Virginia natives Pat and Chuck Blackley. Virginia’s varied landscapes rise from the tidewater area on the Atlantic Ocean through the rolling piedmont to the Blue Ridge Mountains, the Valley of Virginia, and up into the Appalachian Mountains. Jam-packed with 113 full color photographs and informative text, this tour showcases what makes Old Dominion such a beloved and exceptional place. Including elegant shots of Richmond and Norfolk to the colonial architecture of Williamsburg, University of Virginia, and Mount Vernon, Virginia: A Photographic Journey celebrates the rich, full-color landscapes from Old Dominion making it an excellent souvenir or remembrance. Virginia: A Photographic Journey (ISBN: 978-1-56037-701-6, $12.95, Farcountry Press, 2017) is available at local bookstores and gift shops, through online retailers, or from Farcountry Press at 1.800.821.3874. Click Here to See Virginia: A Photographic Journey on Amazon. Pat and Chuck Blackley are a photographic and writing team born and raised in Virginia. Although they work throughout North America, their concentration is on the eastern United States. With a love of history, they find a wealth of subjects throughout the mid-Atlantic, particularly in Virginia where they have enjoyed traveling for over thirty years. Their work appears in numerous books and magazines addressing regional and national audiences as well as in many commercial projects. Their one-photographer books include Shenandoah National Park Impressions, Blue Ridge Parkway Impressions, Shenandoah Valley Impressions, Outer Banks Impressions, Backroads from the Beltway, Our Virginia, Blue Ridge Parkway Simply Beautiful, and Virginia’s Historic Homes and Gardens. Richard Nowitz began freelance photography professionally in 1975 in Israel working for American and European publications. He returned to Washington, D.C. in 1989 and began his association with National Geographic in 1991. His career as a travel photographer has taken him to numerous countries around the world, and has produced over forty-five large-format gift books and travel guides for Insight Guides and National Geographic, and also five titles for Farcountry Press. Richard lives in Maryland with his wife.